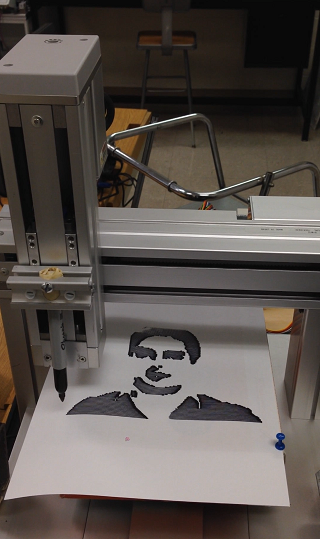 We present a dynamically controlled robot platform (Table-Top robot) to draw a portrait picture captured by a camera. This is done in three modules: image capture, image process, and robot control. We discusse the system’s architecture, methodology, and results. A Cartesian robot is used to do the work and the control program is done in MATLAB.